Obligations such as pensions for EU staff just starting work now could see the UK continue to hand over cash nearly half a century after voting to leave. Last night the news was greeted with dismay by Brexiteers who want a faster break. 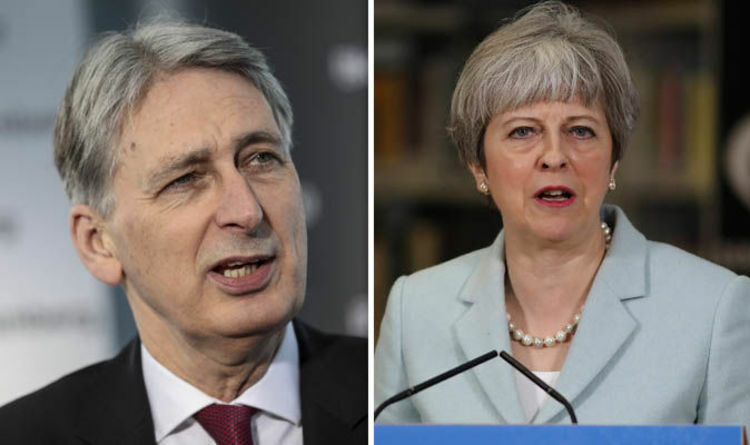 The payment prediction was outlined by the Office for Budget Responsibility, alongside Chancellor Philip Hammond’s Spring Statement, in its first analysis of Britain’s liabilities. The OBR put the total of the UK’s bill at £37.1billion and forecast the bulk would be paid in the next decade. It expects £28billion to fall due between next year and 2023, and a total of £34.6billion to be paid off by 2028. But the last £2.5billion reflects Britain’s share of EU staff pension payments, potentially stretching as far as 2064. However the OBR also said the UK will save billions compared to its current annual EU membership fee from 2020-21 on. The bill is mostly money committed by Britain while an EU member. It includes large sums which are unlikely actually to have been spent but will still be needed after 2020, when the bloc’s sevenyear budget period expires. Money the UK will get back from the EU in respect of “assets” like the European Investment Bank has been offset against liabilities. The OBR said there were “several sources of uncertainty”, such as future currency exchange rates, the outcome of legal cases and the wider negative economic impact of Brexit. But in terms of payments to Brussels, it estimated the UK would have £3billion more under its control in 2020-21 than if it had stayed in the EU. That saving would rise to £3.3billion the next year and £5.8billion in 2022-23, a total of £12.1billion. Eventually yearly payments to Brussels would fall to around £133million, compared to £8billion at the moment. Pro-Brexit Tory MP Nigel Evans said he would rather the divorce bill was paid in one go. Yesterday the Chancellor said the Government had made “substantial progress” in its negotiations with Brussels. He also spelled out how £1.5billion will be split among departments including the Home Office and HMRC to implement post-Brexit policies, rules and checks.